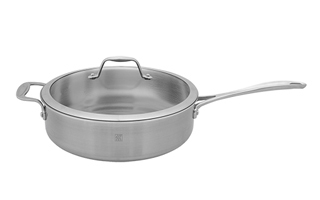 Zwilling Spirit cookware has an eco-friendly ceramic nonstick surface. It does not have PFOA or PTFE. It's also better for the environment because it reduces carbon dioxide emissions during the manufacturing process. 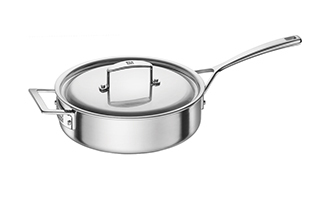 Zwilling Spirit cookware heats evenly thanks to a 3-layer try ply construction. The center is made of quick-heating aluminum. 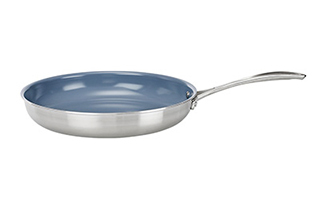 The cooking surface is non-reactive high quality 18/10 stainless steel. Lifetime guarantee too!